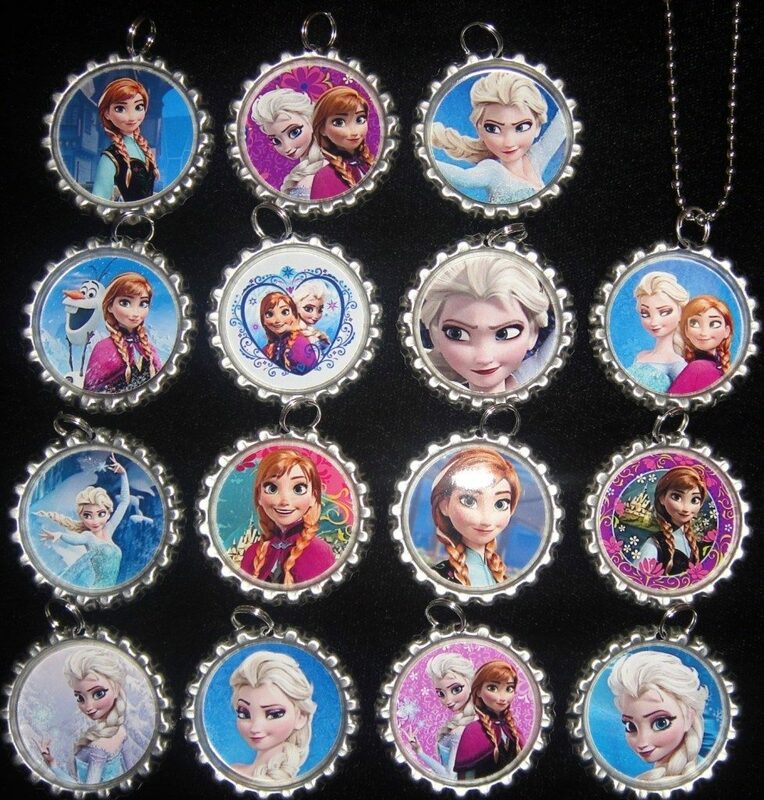 15 Disney FROZEN Flat Bottle Cap Necklaces $17.99 Shipped! You are here: Home / Great Deals / Amazon Deals / 15 Disney FROZEN Flat Bottle Cap Necklaces $17.99 Shipped! Is your little one asking for a Frozen birthday party? If so, get 15 Disney FROZEN Flat Bottle Cap Necklaces for $17.99 shipped on Amazon. You will receive: 15 3-D pendants which come with 15 22″ 2.5 mm silver-plated metal ball chain necklaces attached individually. The bottle cap pendant measures approximately 1 inch and is blank on the back. These necklace pendants are not waterproof.